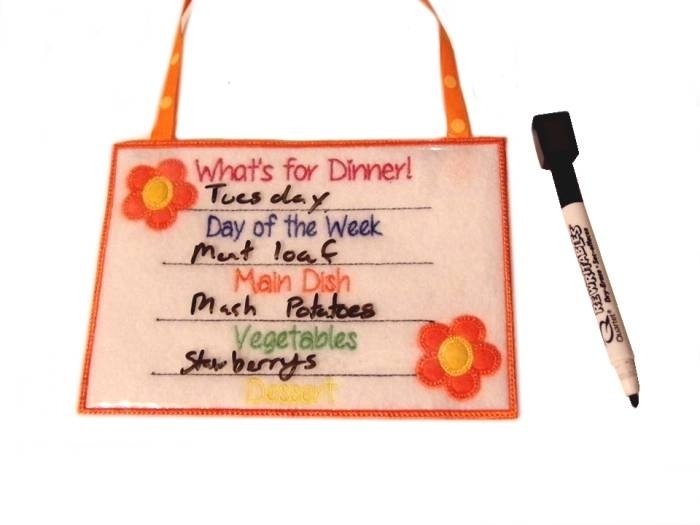 Dinner Chart, In The Hoop - 4 Sizes! Trying to plan a healthy meal for dinner? Try out this great design! You can list the day or date along with the main dish, veggie, and dessert! Includes 4x4 (tiny), 5x7, 8x12 and 6x10 hoop sizes. Earn 9 points at checkout OR buy this item for 180 points. Trying to plan a healthy meal for dinner? Try out this great design! 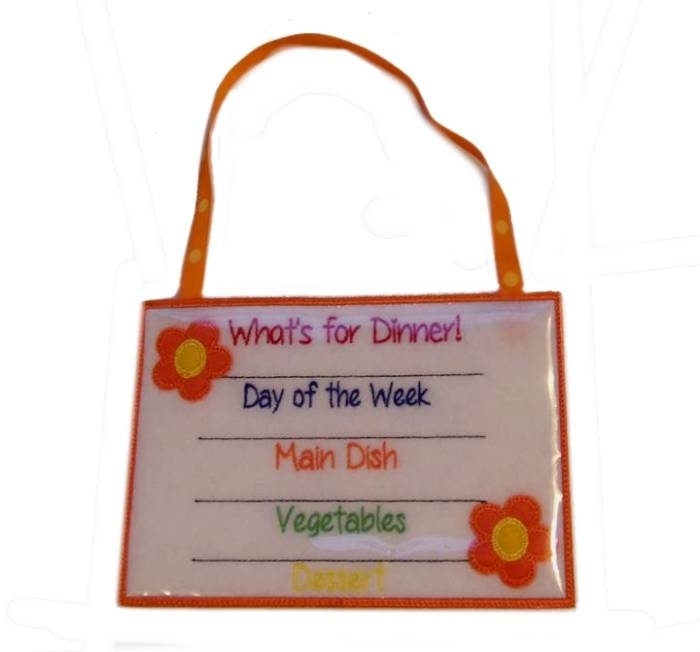 You can list the day or date along with the main dish, veggie, and dessert! Includes 4x4 (tiny), 5x7, 8x12 and 6x10 hoop sizes. Darling Deer Applique Set, 2 Designs - 3 Sizes! Ladybug Necklace Applique - 3 Sizes! Finish Size 3 (13/16)" x 3 (5/8)"
Finish Size 6 (13/16)" x 4 (7/8)"
Finish Size 8 (5/8)" x 6 (1/16)"